JUBA, South Sudan, Jan 15 2018 - With sweltering heat — temperatures often over 40 degrees Celsius — and either extreme humidity or dust, life in the UN protection of civilians (PoC) site in Bentiu, South Sudan, is harsh by any measure. 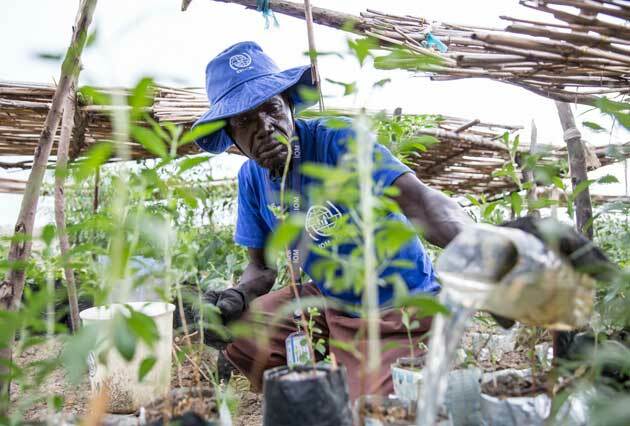 Bentiu hosts the largest PoC site in the country, with a population of more than 112,000 people, many of whom have been seeking protection in the site since the conflict erupted in December 2013. While surrounded by trees and swamps, the 1.6 million square metres of land that make up the site are bare out of necessity. 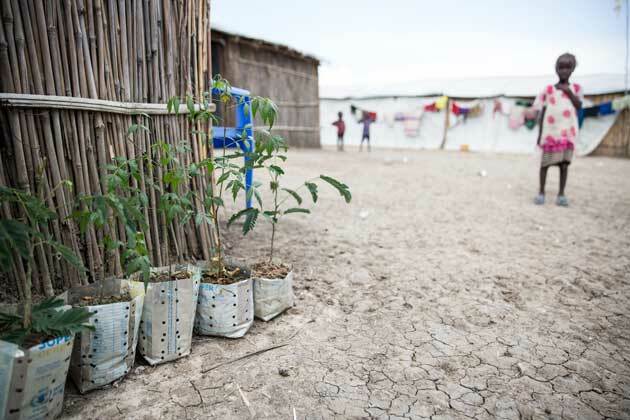 With the congestion and large population tree cover is hard to find as the need for space for shelters, health clinics and other basic infrastructure has led to deforestation. And in turn, the lack of trees has then led to increased wind speeds and further agitation of dust during the dry season. 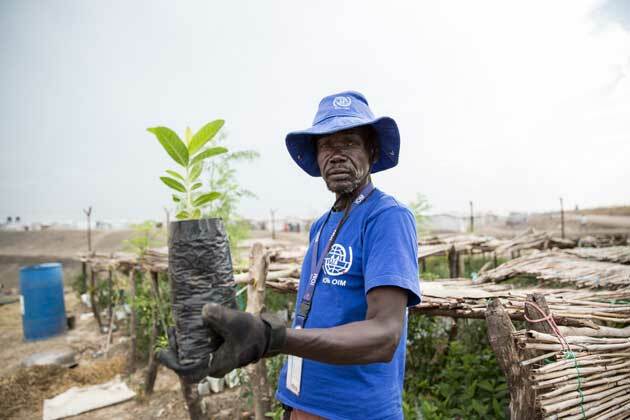 As part of an effort to improve living conditions for the displaced population in Bentiu and take responsibility for leaving behind a healthy environment, IOM is implementing a small pilot project to develop a tree nursery in the site. 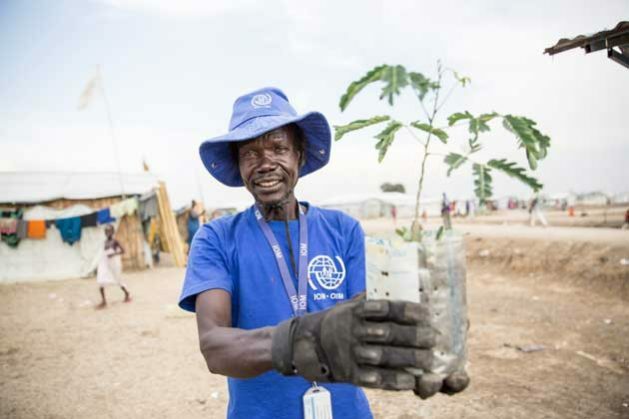 Under the project, supported by the USAID Office of U.S. Foreign Disaster Assistance (USAID/OFDA) and the European Commission Directorate-General for European Civil Protection and Humanitarian Aid Operations (ECHO), IOM has produced 1,000 tree seedlings and saplings and already distributed over 300 to the community. 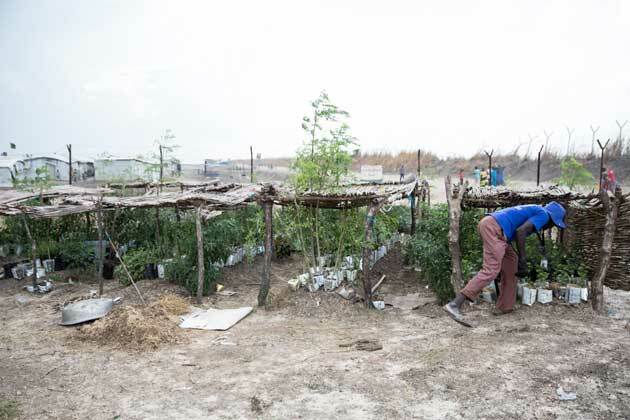 The initial distribution focuses on communal spaces; in the future, the tree nursery will integrate training on growing and planting to encourage participation at the household level. 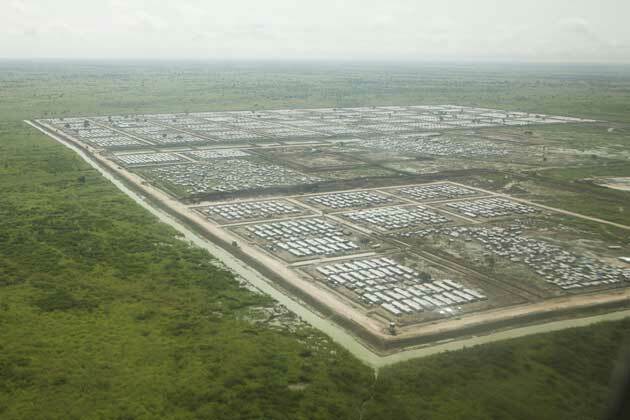 The 112,000 people living in the Bentiu PoC site are among the 1.9 million South Sudanese displaced within the borders of South Sudan — forced from their homes since the conflict erupted in 2013. Humanitarian conditions continue to worsen across the country, with an estimated 7 million people in need of assistance this year due to conflict, displacement, food insecurity, a deteriorating economy and limited access to basic services. 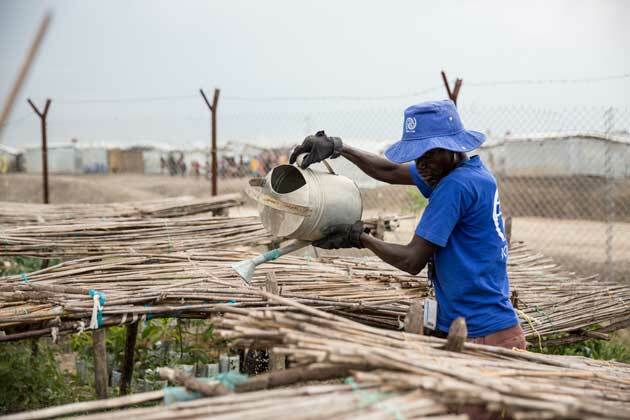 Bentiu PoC site due to concerns for their personal protection, IOM camp management remains dedicated to ensuring dignified living conditions at the site until individuals feel it is safe enough to return home. 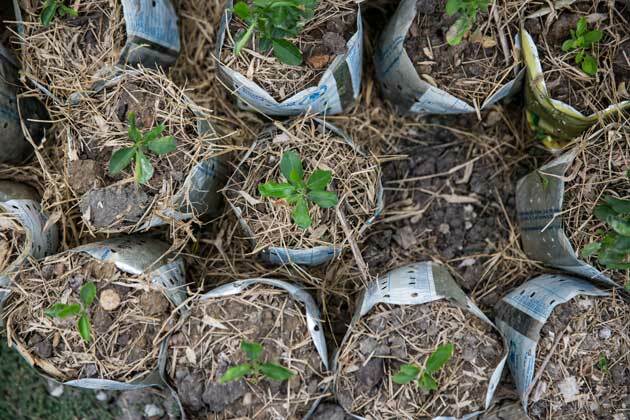 Though small, this project is helping return a sense of normalcy and relief to lives greatly disrupted. This story was posted by Ashley McLaughlin the IOM Communications Officer based in South Sudan.